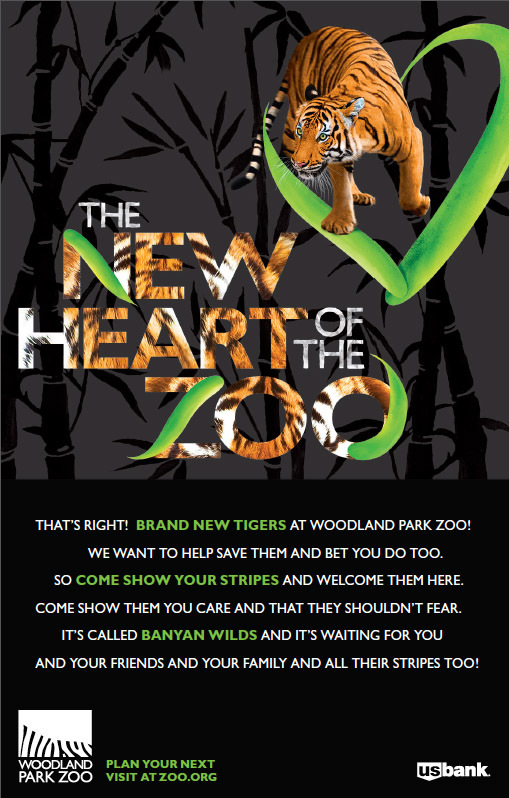 This campaign announced Woodland Park Zoo's biggest opening in 20 years—a Malayan tiger habitat in the center of the zoo. The intention was to encourage kids and moms in to visit, while also gently pointing to conservation challenges. We chose a rhyming storybook approach that spanned video, radio, print and out-of-home, including a billboard with green paint that glowed at night.